For 45 years, visitors have had a comprehensive insight into prehistory at the castle Schloss Asparn/Zaya. Back then and still today the museum has always been a pioneer in the way it presents prehistory – in the castle the development of the human race is shown using the most important finds of the prehistoric collection of the province of Lower Austria. In addition, visitors go on a realistic journey through time at the archaeological open-air site on the adjacent castle grounds. In addition to the prehistory shown so far, since 2014 ancient history and objects from Lower Austrian mediaeval archaeology are also being presented. This means people’s stories are now told dating back to the Stone Age 40,000 years ago up to the Early Middle Ages. MAMUZ Schloss Asparn/Zaya gives visitors the opportunity to really experience 40,000 years of history. The exhibition invites visitors of all ages to experience history at interactive stations – seeing, for example, how tricky it is to make a copy of a longhouse in miniature form. 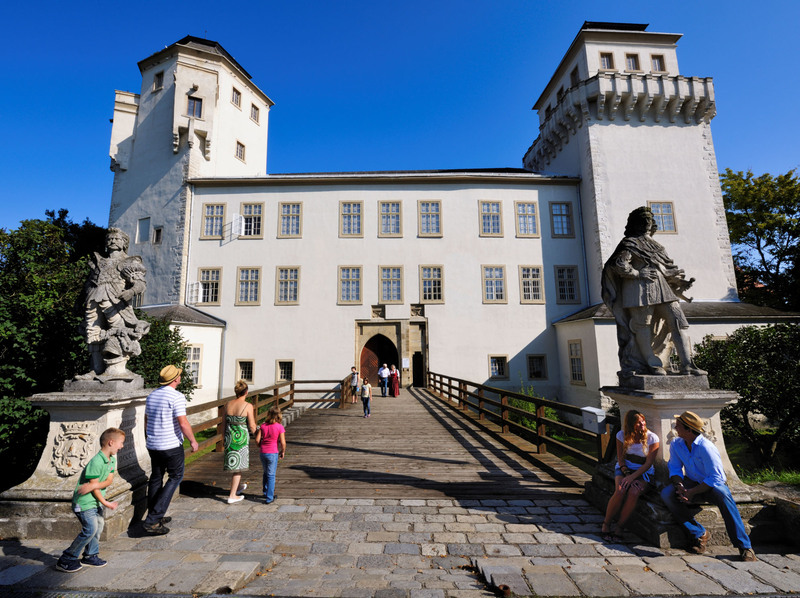 Just by looking at the setup and design of the building, visitors can already see that MAMUZ Schloss Asparn/Zaya contains a highly varied and fascinating history of the human race. The exhibition and the open-air site alone leave room for imagination. In addition, the museum also hosts events to give visitors the opportunity to celebrate alongside the Celts and Huns. With historical handcraft, hardworking people are asked to get an idea of how a bow is made or iron is smelted.